Lamborn & Hill are pleased to offer for sale this four bedroom town house on the popular Sonora Fields development. Within a short walk to local shops, this property is perfectly located for someone needing access to the M2/M20 via the A249. The property itself has living accommodation spread over 3 floors with on the ground floor having a handy cloak room, Kitchen with integrated appliances and a decent size Lounge. 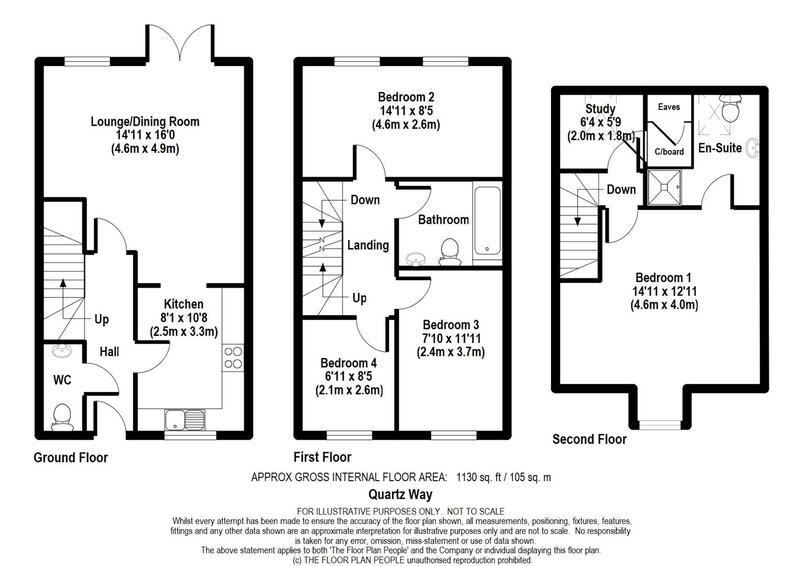 To the first floor is the family bathroom and three bedrooms, with top floor housing the master bedroom with en-suite shower room and the study. Externally there is a low maintenance rear garden and carport giving off road parking for 2 vehicles. Demand is expected to be high so an early call is highly recommended. CALL NOW TO VIEW!